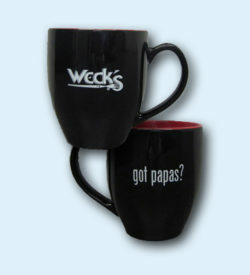 SKU: N/A Categories: Clothing, T-shirts Tags: clothing, got papas? 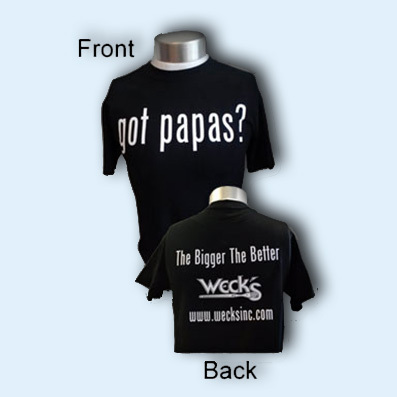 Time to show your love for the Weck’s Papas With an original “Got Papas?” T-shirt! 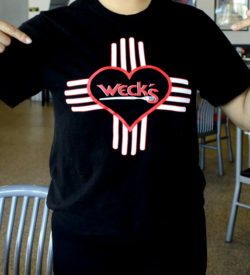 This shirt is fast becoming a big hit for New Mexicans. 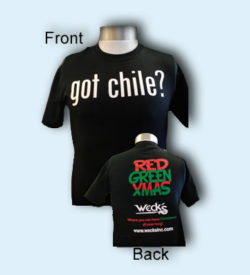 The Shirt is made from 100% Pre-Shrunk Cotton and comes only in black with white lettering.